Former Ghana president John Mahama has hailed golf maestro Tiger Woods for clinching his fifth Masters and 15th major title to seal one of the greatest comeback stories in sport after overcoming career-threatening back problems. He said Woods’ story is that of perseverance and a big lesson to all to never give up. Mahama is seeking a comeback to Ghana’s presidency after losing the 2016 elections to incumbent Nana Akufo-Addo. Perhaps, the story of the 43-year-old will be a great motivation to the social democrat. 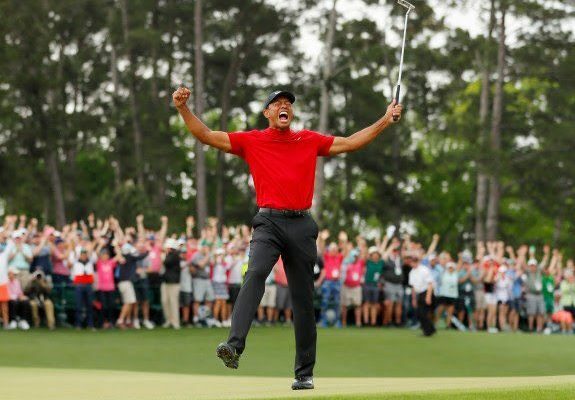 two years after spinal fusion surgery, Woods captured his fifth Masters title and his 15th major with a one-shot victory on Sunday to trigger ecstatic scenes of joy around the 18th green.